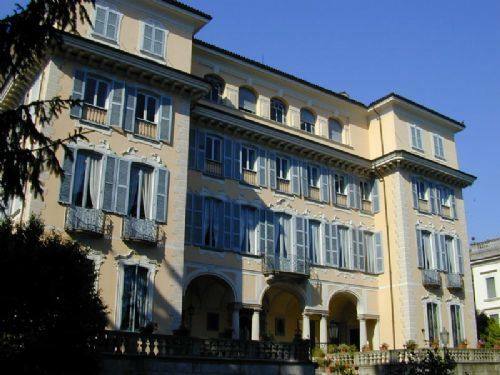 Villa Ducale is the oldest exclusive dwelling in Stresa; there are traces of its existence as early as 1771. 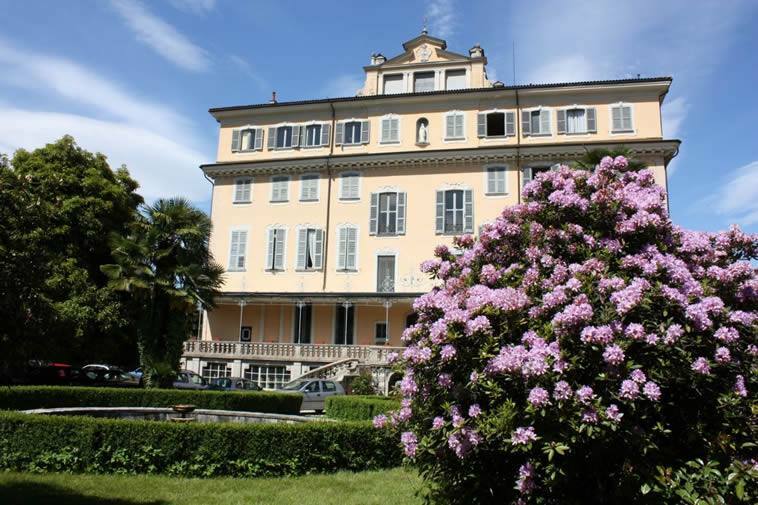 It was built on the lakeshore by the Bolongaro family from Stresa, not far from the town centre. We know for certain that family member Giacomo Filippo Bolongaro looked after and embellished the villa until his death in 1780. 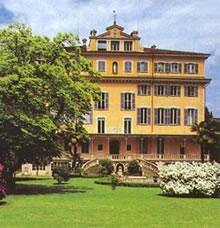 The villa was separated from its garden during Napoleonic times after trunk road Strada del Sempione was built. Anna Maria, the last descendent of the Bolongaro family, invited philosopher Antonio Rosmini to build the first elementary school for boys, which was entrusted to the Rosminians. She had so much respect and gratitude for the Rosminians that she bequeathed the villa to the philosopher after her death (in 1848). He lived there for the rest of his life, and among others hosted honoured guests Ruggero Bonghi, Niccolò Tommaseo and Alessandro Manzoni. In 1857 and in the following years, the villa became the preferred holiday place of Duchess of Genoa, Princess Elisabeth of Saxony, wife of Ferdinand Duke of Genoa and second child of King Charles Albert. It was in this period that the residence called Palazzo Bolongaro took on the nickname of Villa Ducale and became one of the preferred meeting places for the European nobility. After the death of the duchess, the villa had several owners until it was purchased by the Rosminian Fathers in 1942. Completely renovated after the war, today it is the headquarters of the International Centre for Rosminian Studies, a museum dedicated to philosophy and an important library with authoritative biomedical texts. The building’s rectangular layout rises on a foundation used as a terrace and enclosed by sophisticated balustrades. The external 18th-century stairways (with two flights) are supported by columns, while the wrought-iron banisters are in rococo style. The villa enjoyed its golden years when Princess Elisabeth commissioned architect Pietro Bottini (also responsible for other earlier works on Lake Maggiore) to make improvements inside: the Duchess of Genoa’s private little hall, decorated with painted flowers and located on the mezzanine, can still be toured. This floor, which was built using a unique technique from the Lombard school, stands out for its portico with three arches and windows decorated with stuccoes. The old wooden floors were also replaced with mosaic floors from the times. Outside, the garden flourished with new rare, precious essences. Initially conceived as an Italian garden, it is now home to several exotic plants including a majestic camphor and an old cedar of Lebanon. The villa’s park, museum and chambers of Antonio Rosmini can be toured weekdays from 9:00 am to 11:45 am and from 3:00 pm to 5:45 pm.